Guests at the St Lawrence Beach Condos appreciate that the stated price of their vacation rental is the whole price. A two-bedroom, two-bath is $240US per night during low season and $370US nightly during high season. Period. There are no other costs associated with the accommodation. I just returned from Nassau, where Greg and I stayed at the Hilton. Beautiful hotel; I took the photo below out our room using my iTouch. 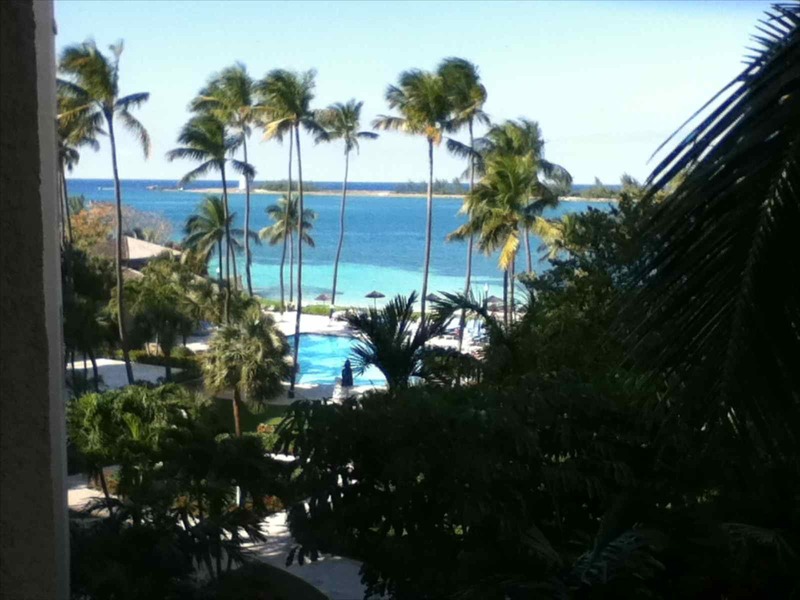 View from the Nassau Hilton; lovely. I would have felt better about my stay had they be absolutely clear in advance of our stay about what the room really costs. This means that our $254 room at the Nassau Hilton was, in fact, $254 PLUS $74.67, or $328.67 per night. Plus local phone calls. I would have felt far better paying $328.67 a night for a room that included everything than $254 plus a bunch of add-ons that came as a surprise at check-out. The forced gratuity for the housekeeper irked me the most – not because she wasn’t worth it (she was) but because I wasn’t sure she really received the five bucks each day; also, isn’t a gratuity earned through superior service? Greg and I had a wonderful time in Nassau; the staff at the Hilton couldn’t have been nicer or more accommodating. The room was spotless. I’ll even stay there again. It’s just that next time I’ll know to budget an extra 29% for my stay …. because I’ll know I can’t trust the per-night rate they give me up front. It’s not the real cost. Yes, that kind of policy leaves customers with a bad taste, and it would be so easy to avoid. It’s the one and only think that irks me every time I visit the USA. The price isn’t what you pay. You have to tip everyone who breathes near you (10-20%!). The airline price is always without tax etc. Sales tax is added to almost everything you see in a store so you don’t pay the shelf price. Hotels add taxes so the price isn’t what you see on the door. Such a shame because it, as you show, leaves a sour taste in the mouth.